Cameo is a funk group which formed in 1974 in New York City, New York, United States. The band's lineup has constantly fluctuated since its formation, with the only constant being vocalist Larry Blackmon. An outlandish, in-your-face stage presence, a strange sense of humor, and a hard-driving funk sound that criss-crossed a few musical boundaries earned Cameo countless comparisons to Parliament/Funkadelic in their early days. However, Cameo eventually wore off accusations of being derivative by transcending their influences and outlasting almost every single one of them. An outlandish, in-your-face stage presence, a strange sense of humor, and a hard-driving funk sound that criss-crossed a few musical boundaries earned Cameo countless comparisons to Parliament/Funkadelic in their early days. However, Cameo eventually wore off accusations of being derivative by transcending their influences and outlasting almost every single one of them. Throughout the '70s and '80s, the group remained up with the times and occasionally crept ahead of them, such that they became influences themselves upon younger generations of R&B and hip-hop acts. By the time the group's popularity started to fizzle in the late '80s, a series of R&B chart hits -- ranging from greasy funk workouts to synthesized funk swingers to dripping ballads -- was left in their wake. Further separating Cameo from their forebears, they didn't have a diaper-clad guitarist. 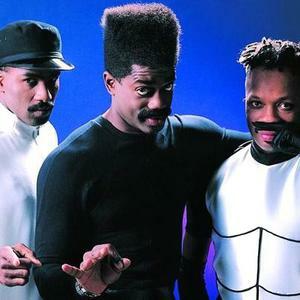 Instead, they had a codpiece-wearing lead vocalist, Larry Blackmon.